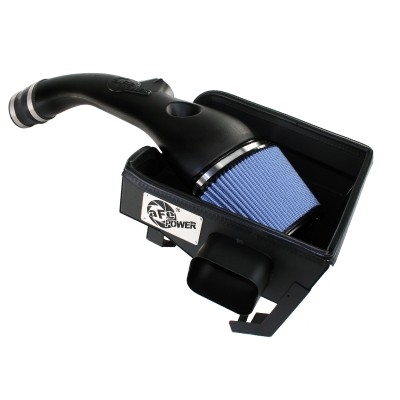 aFe Magnum FORCE Stage-2 Pro 5R intake systems outflow and outperform your factory intake. Enclosed in a durable, 18-gauge powder-coated heat shield, these air intake systems feature aFe's Pro 5R 5-layer washable/reusable conical air filter that improves airflow for increased horsepower and torque. Magnum FORCE Stage-2 systems also feature a heat-insulating roto-molded plastic tube that replaces the stock intake tract and directs increased airflow with improved volumetric efficiency for maximum performance. The heat shields are one piece and require no assembly. The filters are constructed with 100 percent polyurethane for long life and multiple cleaning cycles. Easy install, easy maintenance, and more power.